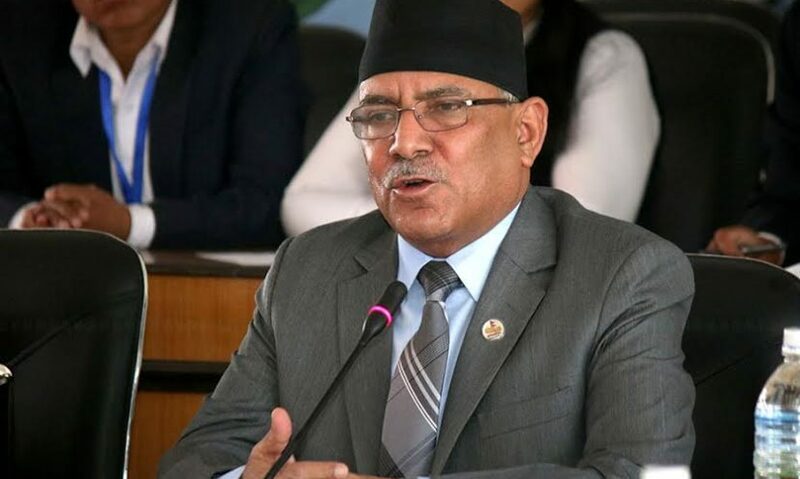 Kathmandu–Nepal Communist Party (NCP)'s chair Pushpa Kamal Dahal 'Prachanda' has said his party was planning to head towards a new course of socialist revolution by achieving prosperity. At a programme organised in his Khumaltar-based residence today welcome political leaders and cadres who abandoned the Communist Party of Nepal led by Netra Bikram Chand to join the NCP, one of the chairs of the major ruling party said the incumbent government was committed to creating a base for economic prosperity. "We are on a new course but it does not mean that we have left our ideologies and goals behind; the direction needs to be changed as per the need of time to advance towards the goals. Sometimes, time demands taking journey uphill and sometimes to downhill as an expedition to the summit of a peak as the society and politics are like climbing the peak. " According to him, the establishment of a republic and inclusive state was possible following integration between revolutionary and peaceful movements and understanding between the revolutionary and parliamentary parties. He said, "Journey towards socialism is a serious and long one and massive unity is a must to complete it and it is high time for all who dreamt of it in the past to unite so as to materialise such dream." On the occasion, leader Dahal welcomed 22 leaders and including Rajan Rai from the CPN to the party by offering vermilion powder and shawls.